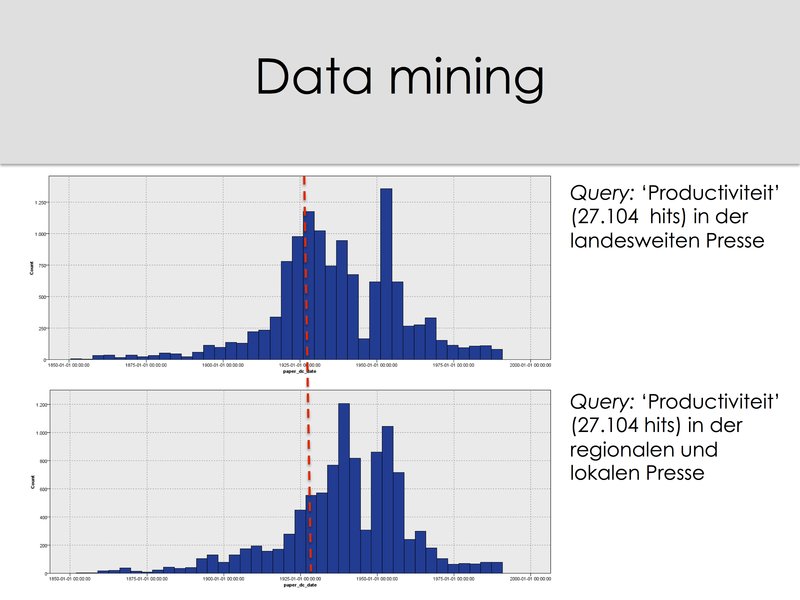 Last week, I gave a talk at the Europeana Newspapers Information Day at the Staatsbibliothek Berlin on the use of digitised historical newspapers in our Translantis project. I gave an impression of the tools and functionalities we are experimenting with and the challenges – in terms of source criticism and interpretation – that come along with this fairly new type of historical research. These are exciting times for historians. Both the quantity of historical source material getting digitized in an ever-growing pace, as the development of tools and techniques for grasping this data will have an irreversible impact on the way historical research is done. All the more essential is the realization that digital methods are there to assist and not to replace the historian. They can never make up for the need for the ‘old-fashioned’ historical analysis and narrative. This blog post is the adapted conclusion from the paper ‘A Digital Humanities Approach to the History of Science. 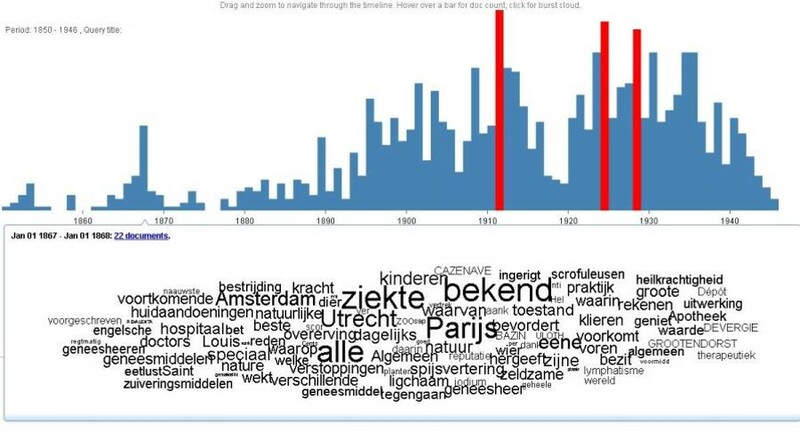 Eugenics revisited in hidden debates by means of semantic text mining’ I wrote in collaboration with Fons Laan, Maarten de Rijke and Toine Pieters. The article was based on the research I did within the historical text mining project BILAND, as well as its predecessor WAHSP. The article is in press as part of the Proceedings of the 1st International Workshop on Histoinformatics.